Xbox One and Xbox 360 users will be able to try Call of Duty: Ghosts Onslaught DLC this weekend for free. The trial begins this Friday, March 21 at 10 am PDT and lasts through to Monday, March 24 at 10am PDT. 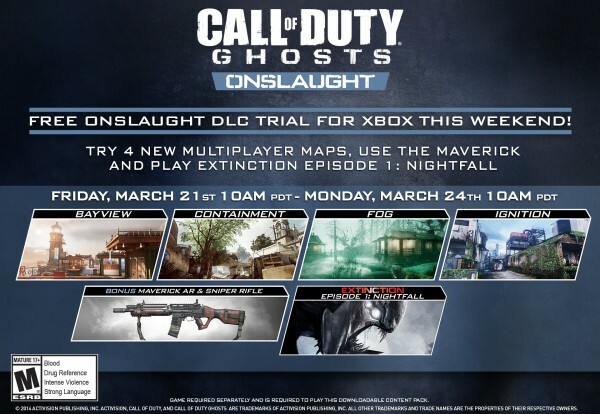 According to the announcement, it looks like players will have full access to the DLC’s offerings, including the four maps Bay View, Containment, Fog, and Ignition, as well as the new Maverick Assault Rifle and Sniper Rifle and Extinction Episode 1: Nightfall. 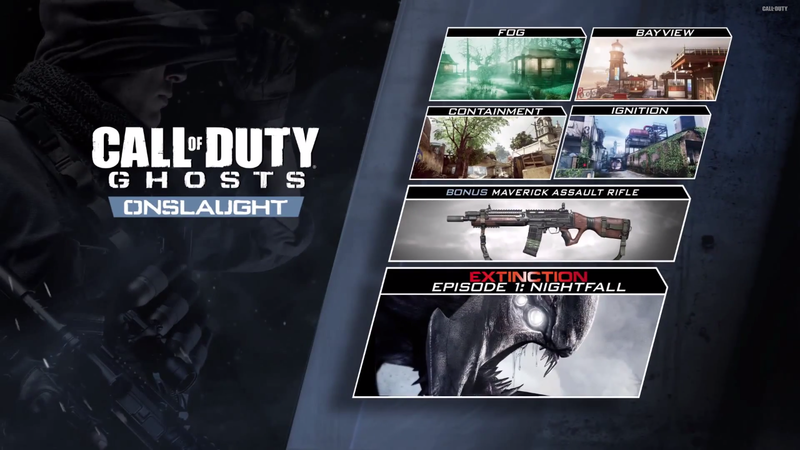 You can catch gameplay footage of the new content, including the new maps and weapons, right here. Are you going to give it a try this weekend?